This website was created by Kadampa Buddhists to provide information about Buddhism and meditation. It is our hope that it may benefit people’s understanding and practice of Buddha’s profound teachings. 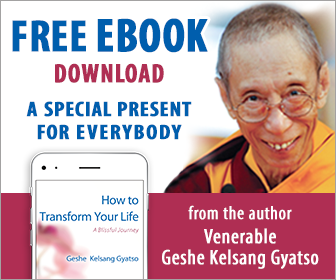 The information in this website was compiled from books written by Venerable Geshe Kelsang Gyatso, the spiritual director of the New Kadampa Tradition (NKT). If you’d like further teachings on meditation techniques or the Buddhist way of life, you may contact a Center near you. Kadampa Buddhist centers hold regular classes on meditation techniques. The teachers are Westerners and teach in a way that is especially suited to Westerners with busy lifestyles.